So one of the main selling points of Games Workshop’s limited edition Deathstorm box set was the special edition Broodlord. Much like the one in the Space Hulk box, this guy is huge and way cooler looking than the old metal model. He is painted up for Hive Fleet Behemoth to go along with the other monsters from beyond the stars on my shelf. 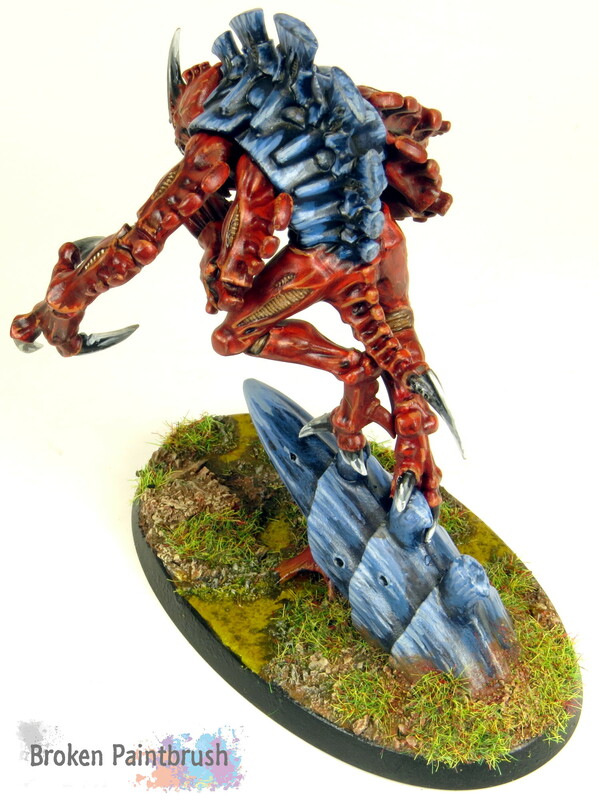 I think the dark red skin gives him a kind of bloody rage which is in contrast to the cool blues of his carapace. The base was one of the first of the new, smaller oval bases that GW put out to mess with all of us, but I like it. It fits the model much better than trying to fit it on a 40mm circle base and helps emphasis his movement forward in a way. 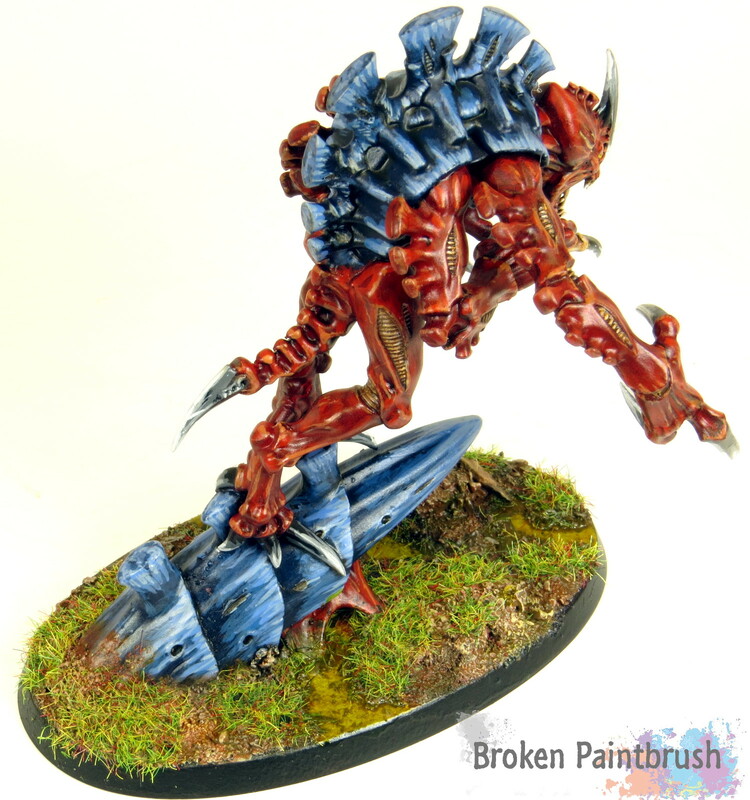 Another cool aspect of this Broodlord is the Tyranid Spire he is leaping off of. Not only does it give this impressively huge genestealer more height but it adds more to the story of the Tyranids taking over the planet from within. On the darker background you can see the really long claws a bit better. This guy really has some wicked limbs, even the lower arms have some creepy, grasping claws and the tongue has its own blade as well – I guess no french kissing for this guy. I really hope GW puts out more of these special edition models into mainstream production because they are such cool models that it is a shame they aren’t produced still. As always, hit me up if you have any questions, comments, or rants in the comments below.